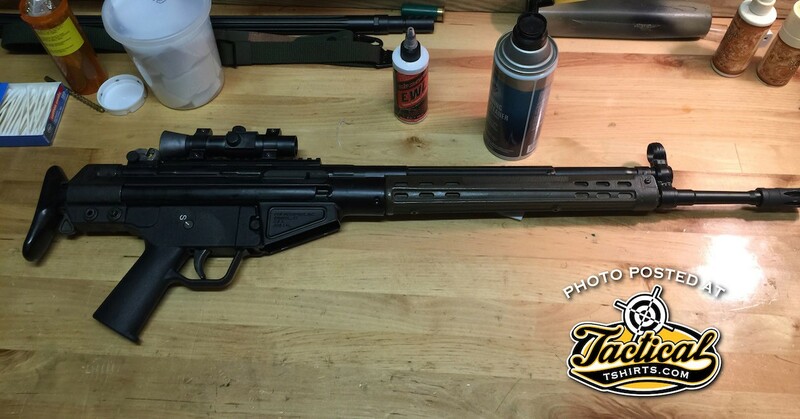 Have to admit, thoroughly cleaning HK roller-locked style rifles isn’t my favorite chore. 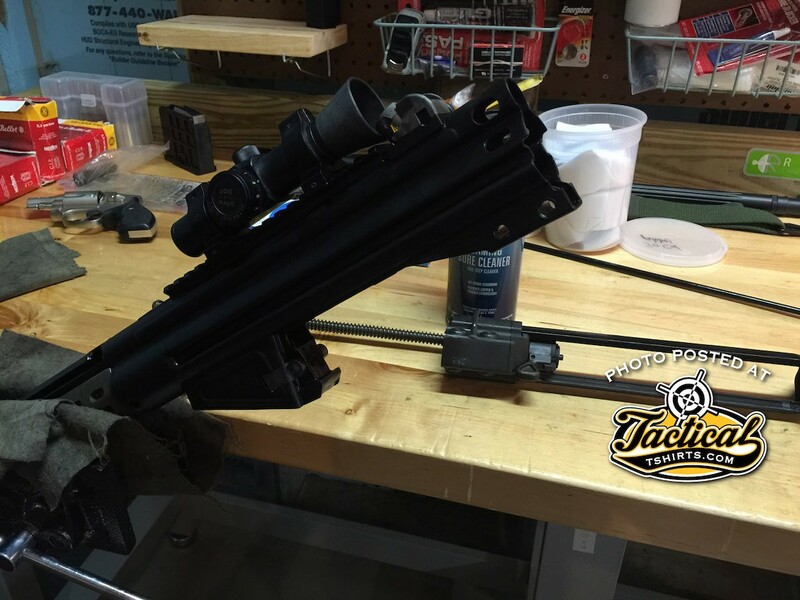 It’s the fact that the barrel and trunnion sit so deep inside the folded upper, I have to work extra hard to make sure everything is 100% clean. This time isn’t so bad. The rifle is not fouled up from shooting. Just been riding around in the back of my pickup all year and a blast of arctic cold air is coming my way. This is a good time to give the rifle a once over, wipe-down, punch a layer of lube down the barrel and otherwise confirm all is well. I check the barrel for corrosion, and keep lube to a minimum even though Slip2000 does GREAT in cold weather. For those asking…I am very particular about the lubricants I use in guns. Especially in the winter. Like clock-work, I start hearing grumblings about “green lube x” and “natural lube y” freezing up guns in cold weather. Depending on the application, sometimes no lube at all is preferred. Yes really. 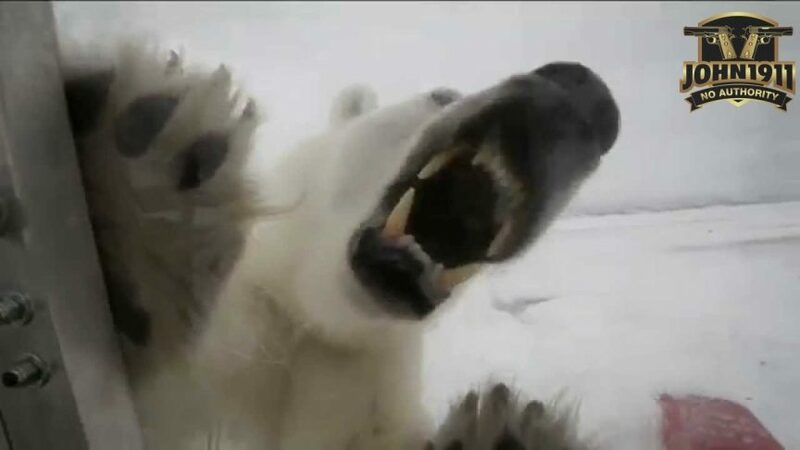 The virus theory of ideas: someone convinced people that bears are cute. Wonder if that person had any experience with a real bear? Now overlay that logic in regards to “natural” gun lubes. But look at it like this. Those green lubes will save a baby seal’s life. How? 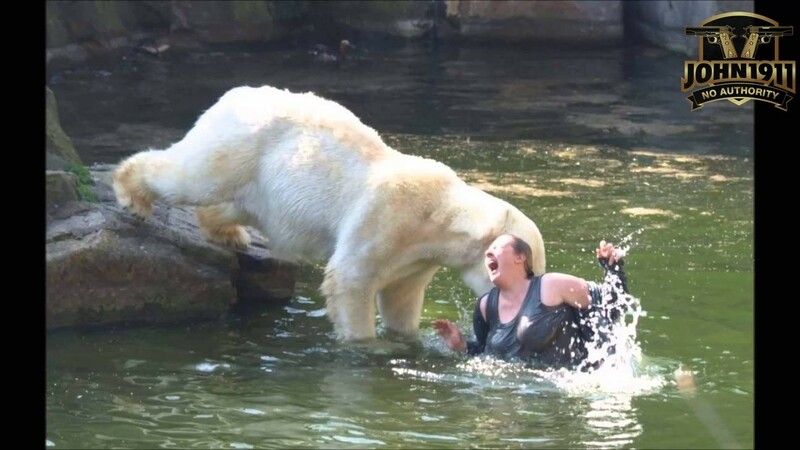 The polar bear will eat the guy with the locked-up rifle instead. Canola: condiments for polar bears.